If you are like many people in the world, then you might have already started thinking about the new year and all that you want to achieve. It might be the year that you get married or the year that you finally run a marathon like you have always wanted to. You may have some smaller goals in mind, like changing your hair color or getting to the gym more. But whatever your New Year’s resolutions, it is good to have something to be working towards. However, the percentage of people that actually stick to their goals is getting smaller and smaller. Around eight percent of people will have achieved their goal this year that they set last January, which is pretty shocking when you think about it. 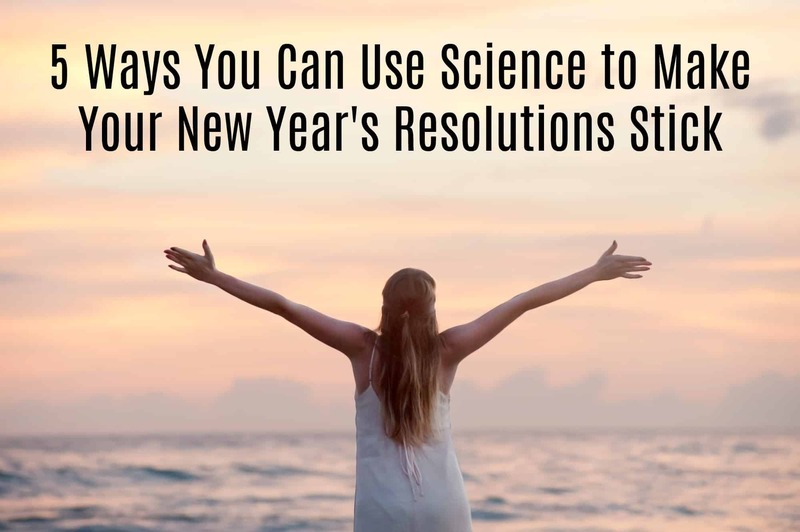 What stops more of us from completing our New Year’s resolutions and sticking to doing something? If 2018 is going to be your year, then planning ahead can be the best thing to do. So here are some different approaches or strategies that you can adopt, to help you become part of the exclusive eight percent club to help your goals stick and get ticked off. There has to be a reason for what you want to achieve. And to actually make it stick, it helps to have the reasons why be good ones. If you want to lose a bit of weight, just because, then it isn’t going to much of a motivating reason why especially compared to wanting to lose weight to reduce your cholesterol or to look better at your wedding. So choose your reasons why you want to choose a goal and be specific. Then you can remind yourself why you are doing something and what it means to you. Science has proven that the more motivated we are to do something, the more that it will actually happen. You need to decide why you’re doing something and not just be doing it because you think you ‘should.’ It will take a change of behavior to really achieve your goals, so you need to have the right motivation level to achieve your New Year’s resolution. 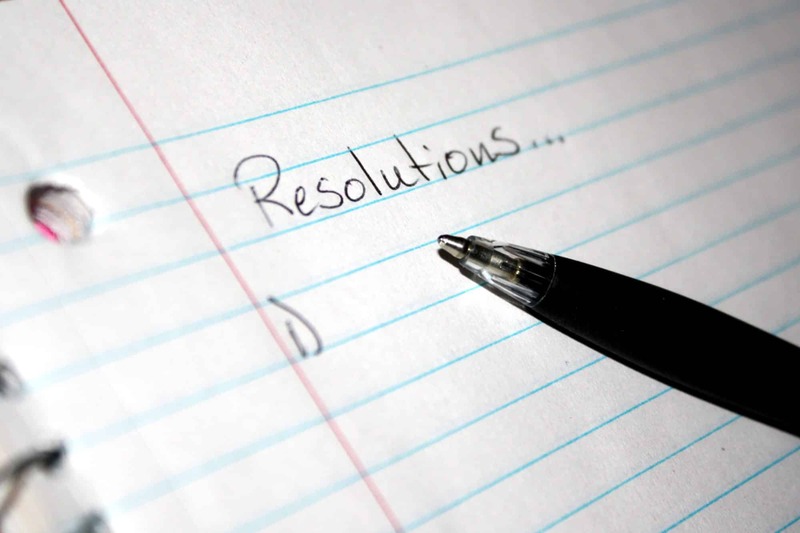 The thing with new year’s resolutions is that you often want to get as much done at a time as possible. But unless you are giving yourself a specific goal of a couple of a couple of months to achieve it, then you need to remember that you have all year to get it done. If you want to exercise more, for instance, then you need to remember that if you’ve not been exercising for a while, then suddenly going to do it every day can be a little much. So start small. The same thing goes for something like quitting smoking, for instance. Not everyone can give up cold turkey. So it could be an idea to switch to vaping, so that you can wean yourself off the nicotine that way, ordering from a site like vapeshop.co.uk perhaps. The key is to not go in ‘all guns blazing,’ so to speak, even though it can be tempting to change a lot and do it quickly. Have patience and start small and you will be on your way to accomplishing your New Year’s resolutions. First of all, your goals are going to be achieved much more quickly when you vocalize them. So say them out loud, write them down, and make sure that you are reminded of what they are each day. It is also a good idea to let others know what you’re doing too. So talk about what you have chosen to do with your friends and family. It makes it easier to talk about your successes and your struggles, as well as being accountable to someone. Friends and family are likely to ask how things are going if they know what your goals are. That can be a good motivator to get working on your goals in itself. It can also be a good idea to get a buddy to help you. For example, if there is a quitting smoking group at work or a class you can join at the gym. When you’re not alone in your goal, it can help massively. Plenty of science and research shows that we give up on something when we experience setbacks and failures. So if you don’t want to fall at the first hurdle, then you need to have a strategy in place to help you deal with any setbacks that may come your way (and let’s face it, they are likely to come your way). There was a study, found at ncbi.nlm.nih.gov.uk that found that when people have made a financial investment in a goal, particularly health, weight, or fitness-related goal, then they were much more likely to stick to their plan and achieved their goals faster than those without such an incentive. So that isn’t saying that you need to pay for a personal trainer to get fit. But by investing some money in your desired goal, then it has shown to motivate you and make it much more likely for your goal to be achieved. You can see why it would work, though; we work hard for our money, and we don’t want to see it go to waste. You can also tell yourself that for every time you don’t go to the gym or cancel your gym class, for instance, it will cost you a certain amount of money. When things are looked at like that, then adherence is going to be much higher. So what goals are you thinking about as the new year approaches? From small goals too large goals, there are so many things that can help you to achieve. It can just take some time and some planning so that you are doing things for the right reasons and motivating yourself in the right way. So start today, and you can achieve big in the new year. It would be great to hear what you think and what things help you to stay motivated to achieve. Here’s to 2018; may it be our best year yet! Good luck on your New Year’s resolutions!